THE HEROESONLINE BLOG | CHARLOTTE MINCON :: Give a little, get A LOT. The Charlotte Chapter of the American Red Cross will be on site raising funds for Hurricane Sandy Relief as well as for various other disaster relief causes. 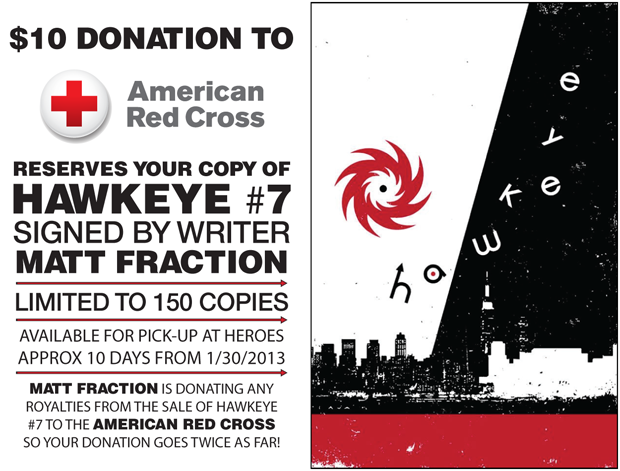 For a minimum donation of $10.00 to the American Red Cross attendees can reserve a copy of Hawkeye #7 signed by writer Matt Fraction. The Second Harvest Food Bank of Metrolina will also be on site collecting funds to fight hunger in and around the Charlotte area. A $5.00 donation to the Second Harvest Food Bank will also be rewarded with our appreciation and a special gift from the Charlotte Mini-Con! 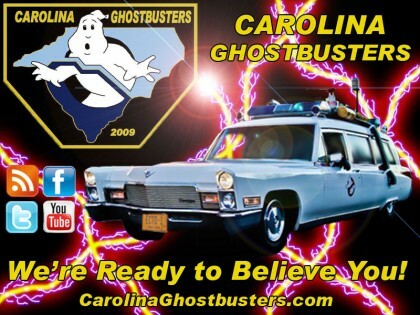 The Carolina Ghostbusters will be at Mini-Con protecting convention attendees from the ghosts of concert’s past that may dwell in the Grady Cole Center! They will also be displaying their famous ghost-busting car, the Ecto-1!! You can have your photo made with the car and help them raise money for the Barium Springs Home for Children. So when you see the Ecto 1 outside, you’ll know you’re in the right place! 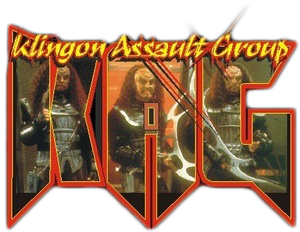 Members of the mighty Dark Star Quadrant of the Klingon Assault Group will also be on hand at the Charlotte Mini-Con. These fearless warriors are always the champions of a good cause, and this weekend will be no different. Whether they are using their forces to raise money for charities such as Hospice, or other worthy causes, they are always fearless and proud. 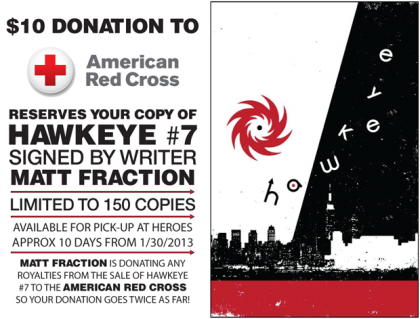 A donation to their charity will gain you nothing but the highest respect and gratitude from these other-worldly warriors. 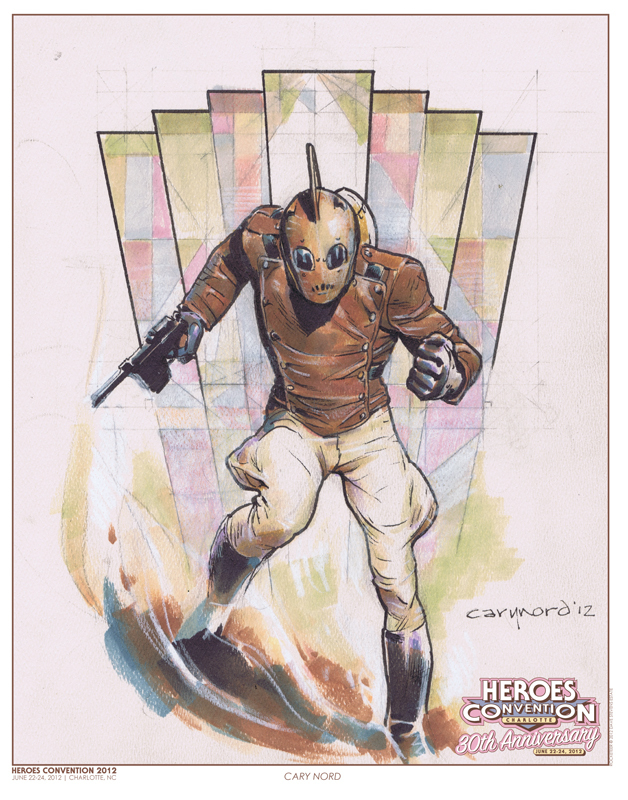 Heroes Aren’t Hard to Find will be selling our the beautiful Rocketeer print from the 30th Anniversary of HeroesCon in 2012. All the proceeds raised from the sell of this print will be donated to Hairy Cell Leukemia research in honor of the Dave Stevens Foundation.